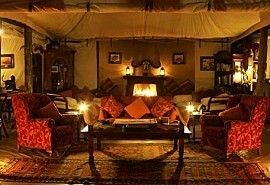 Amboseli Porini Camp is situated in private conservancy near the northern boundary of Amboseli National Park. 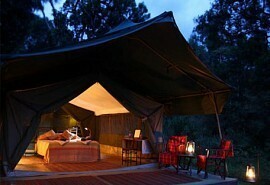 The camp has exclusive access to the conservancy and the local Maasai tribe. Amboseli Porini Camp is situated in the Selenkay Conservation Area near the northern boundary of Amboseli National Park in Kenya. The Conservancy is an important dispersal area for wildlife moving in and out of Amboseli and holds a wide diversity of species. In addition to the better known big game such as elephant, lion, cheetah, giraffe and zebra, there are several less common species such as caracal, African wildcat, civet, gerenuk, kudu and striped hyena. 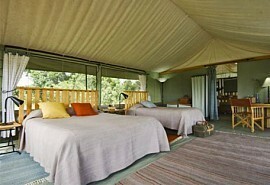 The camps private four-wheel track links the Selenkay Conservancy to the Amboseli National Park in Kenya so you will have advantage of enjoying game watching from within the national park and the private reserve. Within the Selenkay conservation area the following animals have been spotted: elephant, lion, leopard, cheetah, Thompsons and Grants gazelles, gerenuk, impala, oryx, lesser kudu, zebra, wildebeest, giraffe, warthog, striped hyena, kackal, bat-eare fox, caracal, African wild cat, serval cat, genet cat, honey badger, mongoose and ostrich. Birdlife is prolific, especially birds of prey. 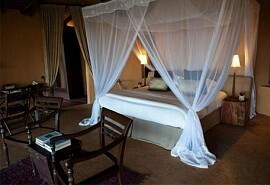 Amboseli Serena Lodge is situated in the Amboseli National Park in Kenya in the shadow of Mount Kilimanjaro. Influenced by local Maasai architecture, the lodge is in perfect harmony with the environment and offers a unique safari experience. 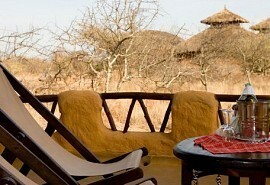 Ol Donyo Wuas Lodge is situated in the foothills of the Chyulu Range on the Mbirikani Group Ranch. 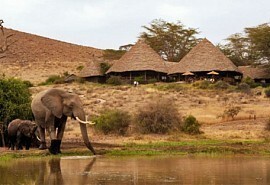 A Maasai-owned ranch that is located between the Amboseli National Park, Chyulu, Tsavo and Kilimanjaro National Parks. 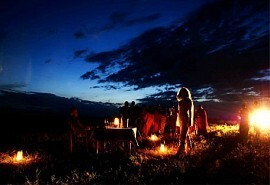 Tortilis Camp is situated within the Amboseli National Park with spectacular views of Mount Kilimanjaro. Activities at the camp include game drives, bush walks, sundowners and bush dinners and guests will be able to exploring the enormous private concession. 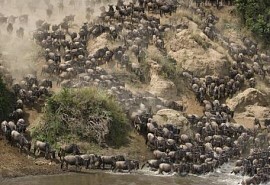 Spoil your family and whisk them away on an exclusive 8 night safari to the famous Masai Mara, home to the annual wildebeest migration. Travel to the Mombasa Coast for a tropical African beach experience.